Motown fire is an Authorized service agent for Weber and Lynx BBQs. We service all makes and models of BBQs. Keeping your BBQ clean will not only provide great tasting food, but prolong the life of your grill. At least once a year cleaning is recommended. Depending on how much you cook on your grill will determine if additional cleanings are necessary. Lack of cleaning will deteriorate internal parts, and replacement will be needed. Contact us for a annual cleaning and inspection. Any BBQ can be converted over to natural gas. 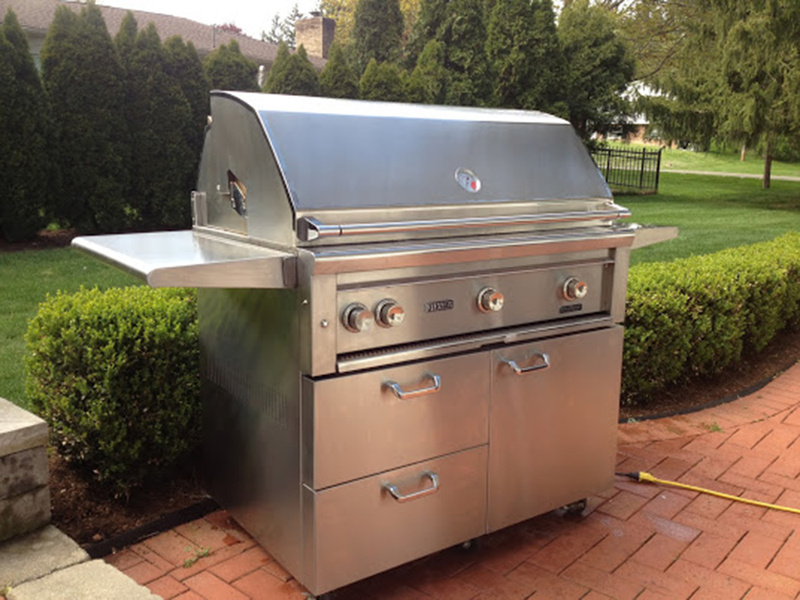 The most common installation of a BBQ would be free standing, or on wheels. A flexible quick-disconnect hose has made natural gas BBQs more portable and accessible. Another installation style would be a in-ground, which is permanently cemented in a desired location. Similar permanent style of installation is a post- mounted BBQ, which is mounted to a flat surface, such as, a deck or patio. 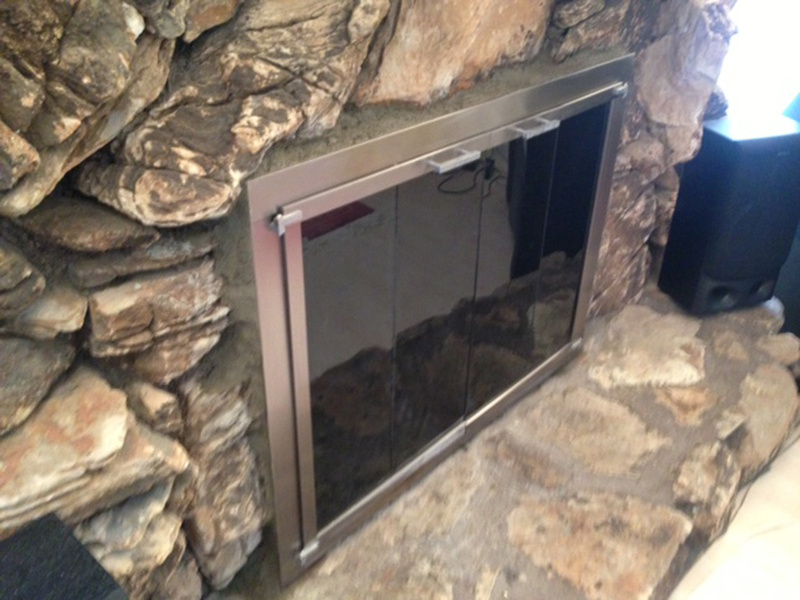 Lastly, built-in BBQ installations are sized to fit into a framed area. Many BBQ islands come in different sizes and styles. Contact us for further information regarding different sizes and styles for your BBQ installation. Keeping your fireplace clean will insure proper function. Our fireplace service call includes a safety inspection and clean up. We give your fireplace that appealing look that it once had. Contact us to set up an appointment. There is a wide variety of different gas fireplaces that will require a professional to install. The length of the gas line and size of the fireplace will determine the size of line needed. Most indoor and outdoor gas lines are made out of copper or steel black pipe. Motown fire is also certified in using Ward-flex, which is a flexible yellow gas line that can be used in certain situations. Call for a free estimate. Purchasing the right size door for the opening of your fireplace is critical. We recommend having a professional measurement done before purchasing any door. Some doors will have to be custom sized at the factory for proper fit. Inside fit and outside fit doors are available. Masonry work around the opening of the fireplace can cause gaps and will require additional mortar. Fireplace doors can really have a great impact on the look of your fireplace. Give us a call and get it done right the first time. Stop cold drafts from your chimney with a top sealing damper. 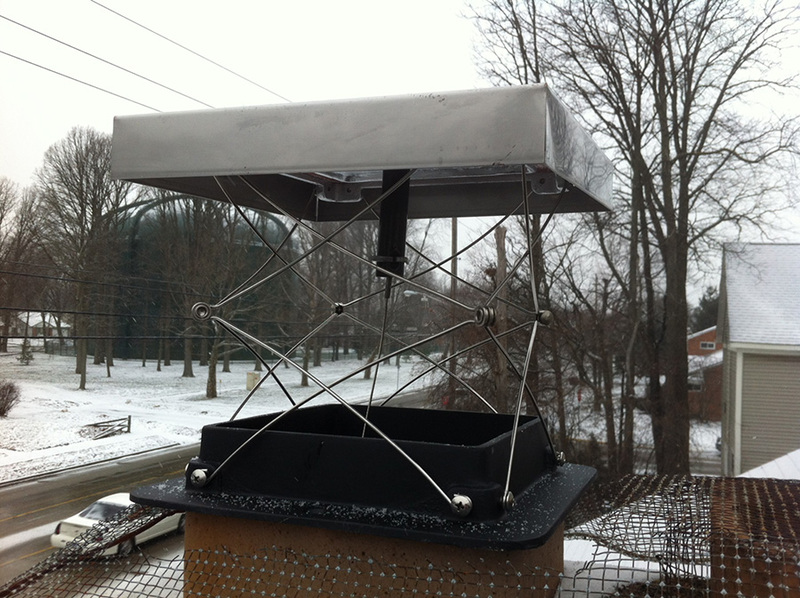 These dampers replace your chimney cap. A cable is ran down your flu and mounted inside your fireplace for easy access. When damper is closed no outside air will enter your chimney. Contact us for further information. Newer gas lanterns are capable of electronic ignition, which gives easy on/off operation. Most older traditional gas lanterns stay lit all the time. Parts are still available for older lanterns. Contact us to restore your old gas lantern or replace it with something new. 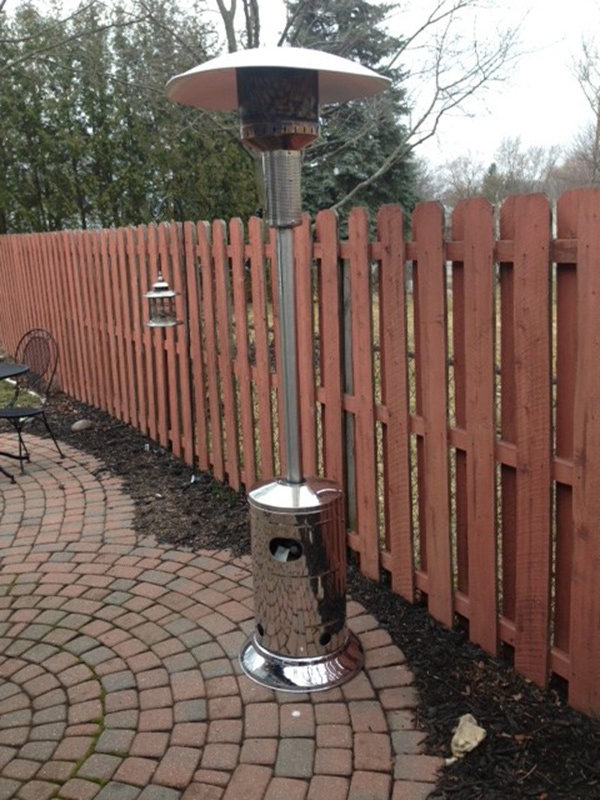 Patio heaters can be permanently mounted or portable. Many patio heaters have problems due to lack of maintence. We service all makes and models.